Don't overlook the importance of mapping out your meals—what to eat and when. Here's some sensible advice for starting your own heart-healthy diet plan. Planning is everything. 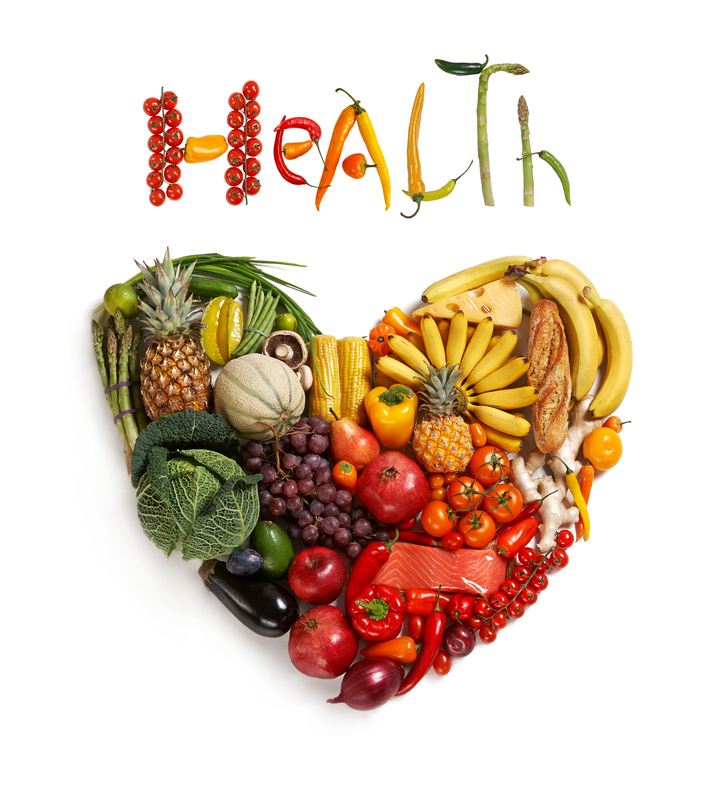 A heart-healthy diet is easier to accomplish if you think not only about what you're going to eat, but when. Timing and planning may mean everything when it comes to following a heart-healthy diet plan. That’s the message of a American Heart Association (AHA) scientific statement. The more thoughtful you are not only about what you eat but when and how often, the AHA advises, the more successful you’ll have in following a heart-healthy diet plan. Conversely, if you skip meals (especially breakfast), go hungry, and don’t map out what and when you’re going to eat, you’re more likely to choose unhealthful foods, experts say. What happens in today’s fast-paced world is that we push our meal times, sometimes allowing our hunger to get to a point where we just grab a fast-food burger, bag of chips, or a sugary treat. In the aforementioned AHA statement (published Feb. 28, 2017 in the AHA journal Circulation), an expert panel examined dietary patterns that affect risk factors for cardiovascular disease, such as skipping breakfast. Whereas research suggests a link between eating breakfast and lower heart disease risk factors, the estimated 20 to 30 percent of adults in the United States who regularly skip breakfast are more likely to be obese, have diabetes, or practice poor nutrition, according to the AHA statement. 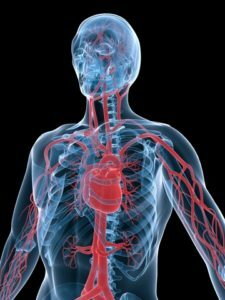 One study found that men who usually skipped breakfast were 27 percent more likely than breakfast-eaters to develop heart disease over a 16-year period (Circulation, July 23, 2013). One possible explanation is that people who skip breakfast tend to make up the calories they missed in the morning by consuming “empty” calories from sugary drinks or snacks throughout the day. And then, at night, they might eat an oversized meal and snacks—and hence aren’t hungry for breakfast the next morning. So, make time each morning for breakfast, which should include lean protein—such as a boiled egg, egg whites, Greek yogurt, nuts, or (occasionally) turkey bacon or turkey sausage—to stabilize your appetite, Zumpano advises. Also, add a complex carbohydrate that contains fiber, such as oatmeal, whole-grain bread, berries, or other fresh fruit. If you’re among those who often skips breakfast, get into a routine where you give yourself some morning protein at least by eating a piece of fruit and some almonds or walnuts, our perhaps a protein shake if you’re on the go. What, When, and How Often? 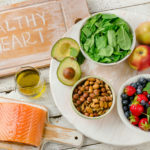 For heart health, experts recommend a Mediterranean-style diet, rich in fruits, vegetables, whole grains, healthful fats (such as olive oil), legumes, and fish. In a recent study, a Mediterranean diet with virgin olive oil was associated with improved function of beneficial high-density lipoprotein (HDL) cholesterol among 296 people at high risk of cardiovascular disease (Circulation, Feb. 14, 2017). Plan on three smaller meals and two small snacks each day. The first meal should be within an hour or two of waking up, with lunch and dinner planned every four to five hours thereafter. A mid-morning snack will keep up your energy level; an after-dinner snack should come at least two hours before bedtime. By following this plan, you can spread your calorie intake throughout the day to prevent dips in your energy and avoid hunger spikes that can cause you to overeat or eat when you shouldn’t, such as late at night. Healthy snacks are an important part of the equation; they can help you practice portion control at lunch and dinner and thus avoid weight gain. add, almonds, appetite, best diet, breakfast, calories, cardiac diet, cardiovascular, cardiovascular disease, cholesterol, diabetes, diet, diet advice, empty calories, fast food, fiber, food, hdl, hdl cholesterol, health, healthy breakfast, healthy diet, healthy diet plan, healthy eating, healthy eating plan, healthy snacks, heart disease, heart disease risk, heart disease risk factors, heart health, heart healthy, heart healthy diet, heart healthy eating, high density lipoprotein, lipoprotein, mediterranean diet, mediterranean style diet, nutrition, nuts, portion control, protein, report, risk factors for cardiovascular disease, skipping breakfast, the best diet, vegetables, walnuts, weight gain, whole grain, whole grain bread, whole grains, yogurt.